The light of this region has given the Coast its name; a white light, transparent, brilliant but not dazzling, which was previously appreciated by its first settlers: Alicante, the capital, was Akra Leuka for the Greeks (white citadel) and Lucentum for the Romans (city of light). This region of Spain boasts 325 sunny days each year with temperatures ranging from an average of 16° centigrade in winter, to 32° centigrade in summer, which ensure that you are able to enjoy life to the full. The Northern Costa Blanca, where the mountains meet the sea, offers some of the most breathtaking scenery in the whole of Spain. 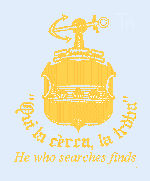 The area is full of lush vegetation with citrus, almond and olive groves growing in abundance. The region is shielded from the colder winter winds of the interior by these mountain ranges. Because of these attributes the area is acknowledged by the World Health Authority as one of the healthiest areas in the world to live today. 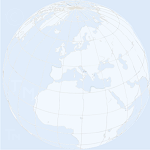 The 32nd America's Cup will be held in Valencia on the Spanish Costa Blanca in 2007. 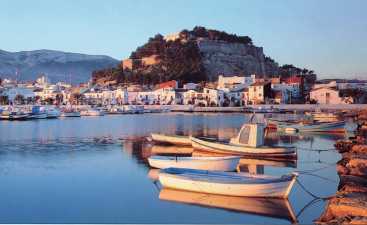 Denia is a little over a hour's drive away and offers ideal accommodation for those wishing to experience or participate in this unique sailing event. The competing super yachts will berth in new facilities to be constructed in the port, and will race close to Valencia in what will be the first ever European event in the history of the America's Cup. Two of the many secluded bays along the Javea coast line. View of the shallow sandy waters of the Arenal Bay, Javea, with the Montgó mountain an impressive backdrop. 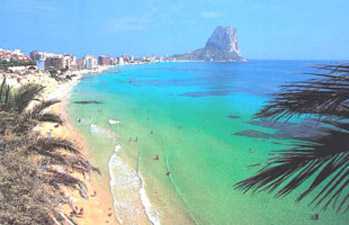 The sandy beach of the Arenal Bay, Javea. Views of Calpé, a feature of this part of the coastline is the impressive Rock of Ifach. Calpé is located beside this rock of over 300 metres in height, which one can ascend along a path with superb views of the coast and inland area. part of the Northern Costa Blanca region. 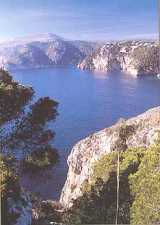 View of the Javea coastline. 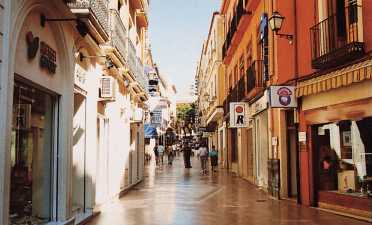 The promenade and port area of Javea town. Relax in the endless sunshine! 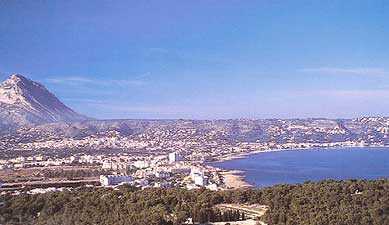 View of the Javea coastline, overlooking the port area. 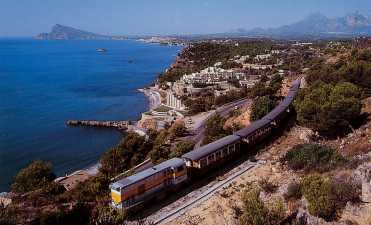 The 'Lemon Express' coastline train, pictured near Benidorm. Typical Spanish architecture, prevalent in this unspolit region. 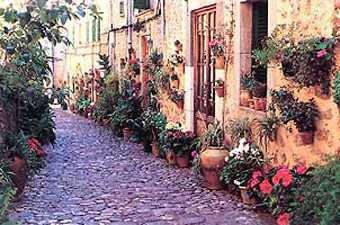 The pretty town of Dénia dates back to the 4th Century B.C. 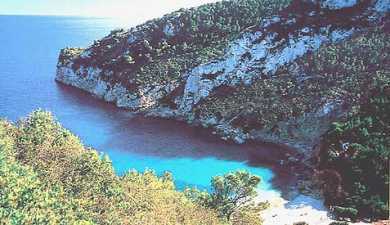 and is named after the goddess Diana by the Romans, lying between the mountains and long sandy beaches. 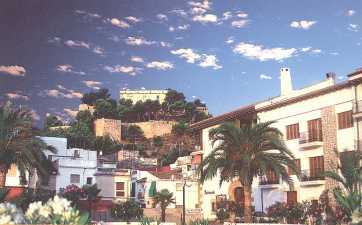 High on the hill overlooking the town is a 17th century Moorish castle. Dénia maintains its old traditions with its colourful fish and vegetable market. Walk around the old quarter and discover an authentic Moorish-Spanish atmosphere in its narrow cobbled streets. The beaches to the North of Dénia are in total contrast to the beaches in the South. "Las Marinas" in the North is a 14.5 km long stretch of fine, sandy beaches offering differing facilities that provide everything needed for a relaxing holiday soaking up the sun. There is a large selection of bars and restaurants catering for all tastes and budgets along the length of this stretch of coast. The South stretch of coast consists mainly of residential areas including some very large villas. This coastline is a paradise for scuba diving. The Montgó Natural Reserve forms a dramatic backdrop to the South coast of Dénia. 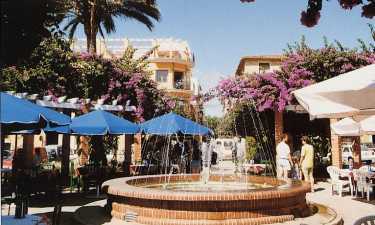 Walk through the arched canopy of trees that line the main cosmopolitan avenue of Dénia, Marqués de Campo and relax with the locals in one of the pavement cafés and restaurants or do a bit of shopping in the extensive range of exclusive boutiques. "Las Rotas" to the South of Dénia is a series of rocky beaches and coves, which can be very dramatic and spectacular. Two more views of the 17th century Moorish castle of Dénia, one overlooking the port area. 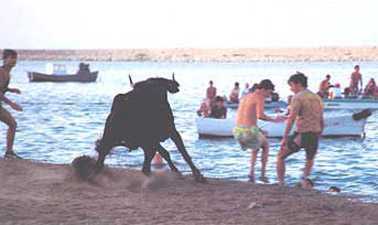 During the patron saint's days in July - in honour of the Santisima Sangre - the famous Bous a la Mar (Bulls at the sea) are celebrated. 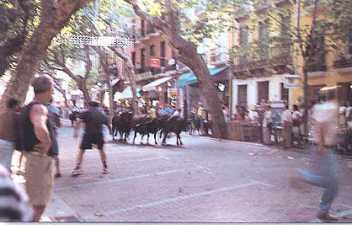 A unique show, involving Bulls being set loose along Dénia town's main street, Marqués de Campo and then into the Port area, considered to be a celebration of national touristic interest. A selection of views of Dénia town, which show off the natural beauty of this unspolit Spanish town. Overlooking the second green of the 18-hole golf course, the Club del Golf La Sella, with the Montgó Natural Reserve mountain range forming a magnificent backdrop. "Las Marinas" area to the North of Dénia are a 14.5 km long stretch of fine, sandy beaches offering differing facilities that provide everything needed for a relaxing holiday soaking up the sun. There is a large selection of bars and restaurants catering for all tastes and budgets along the length of this stretch of coast. Playing out from the green-side bunker of the 18th green, with the clubhouse in the background. 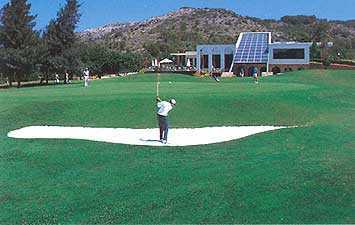 Facilities include: Five-star Marriot Hotel and Spa, driving range, pro-shop, restaurant, bar, showers & sauna.